The bio of John Beckley Smith | Launceston Then! 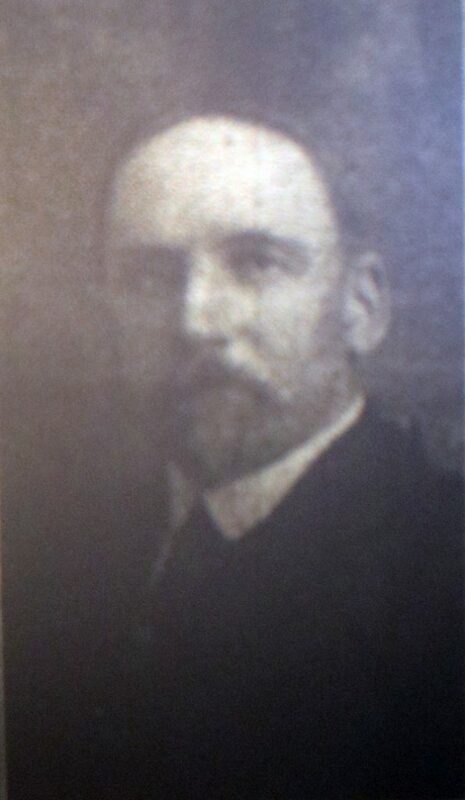 John was born in 1863 one of nine children to Richard and Mary (nee Beckley) Smith at Milton Damerell. His Father was a farmer of 244 acres at Higher Northcott, Boyton. On leaving school John worked on his fathers farm. On September 18th, 1893 he married Maud Mary Jones (above right) at the United Methodist Church, St. Thomas Road, Launceston and they moved to Tredown farm, South Petherwin where a year later their first child was born, a daughter Ivy was born. The following year a son Frederick was born and in 1902 another daughter Marion joined the family. Whilst farming Tredown, John was nominated for the South Petherwin Parish Council. At this time they attended the Kennards House Chapel. They were also keen as a family on music and for many years performed around the area giving concerts. The whole family, except John, became members of the Launceston Choral Society. 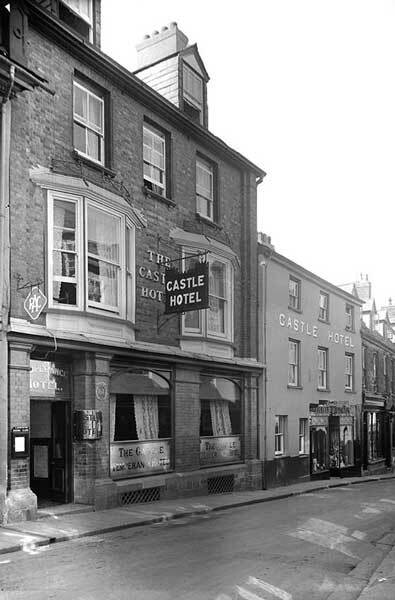 With John’s health being delicate to working out of doors, he took over the Castle Hotel from Mr William Bailey in 1914. This also included the Livery Stables, then known as Millman’s Yard and Arnold’s Stables. However, just after taking over, the First World War broke out, and their son volunteered almost immediately, leaving them with a new business and all the restrictions and complications which followed. At the time they kept between 30 and 40 horses busy at the Stables, with the four-in-hand, three-in-hand coaches. By 1921 it had become obvious to the family that the motor car was coming into its own, and although they always kept two hire cars, they could see it was necessary to develop this side of the business, purchasing the first 20-seater coach that came to Launceston (a Napier on solid tyres). This was soon joined by a motor omnibus to replace the horse drawn coach for bringing passengers up to the town from the Station as well as a motor hearse. By 1928 all of the horse livery side of the business had been replaced. This side of the business was eventually handed over to Frederick their son and Mr. F. Turner (son-in-law), who continued to expand it, becoming agents for Vauxhall/Bedford and later Rover/Land Rover. Kelly’s Directory of 1923 – Castle Hotel (unlicensed), commercial & family; posting in all its branches; cars on hire, omnibus meets all trains (J B Smith & Son, proprietors) High St. 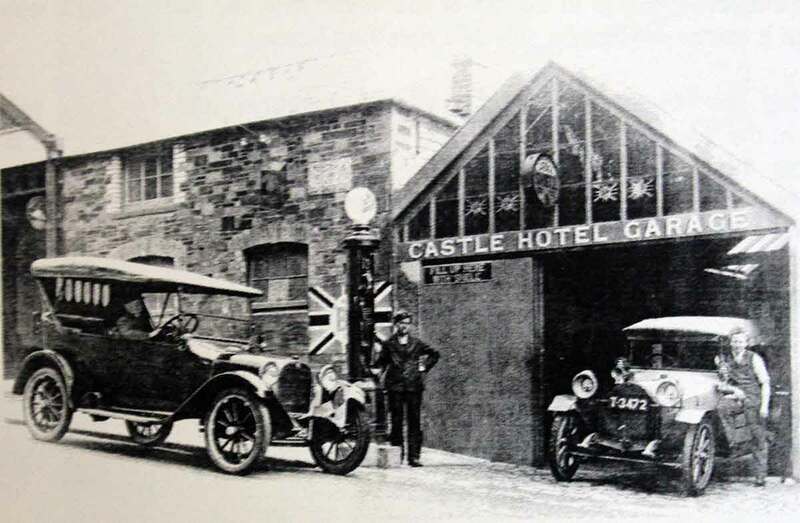 In 1926 – Smith J B & Son, Castle Temperance Hotel, High Street, and motor garage & livery stables, Western Road: in 1939 it had changed to – Smith J B & Son Ltd., Castle Temperance hotel, High street, with a further entry – Smith J B & Son (Launceston) Ltd., motor garage, Western road, and by 1956 the title was Smith & Son Ltd., Messrs J B, Castle Garage, Western Rd. The Castle Temperance Hotel Garage in Western Road. J. B. Smith and Son showroom in Western Road in the early 1980’s. J.B. Smith and Son, The Dockey, Launceston. Photo courtesy of Ian Smale. With their daughter taking over the running of the Hotel, John retired with his wife in 1939, moving to ‘Wycollar’, 26 Tavistock Road, he and his wife celebrated their Golden Wedding anniversary in September 1943. 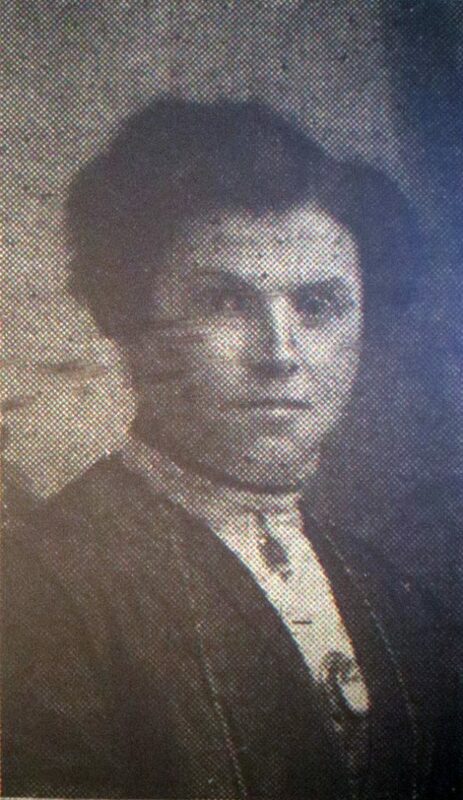 John and Maud continued their interest in Methodist work, and after leaving Kennards House immediately became members of the St. Thomas Road Methodist Church, where John was Chapel Steward for many years and Maud being President of the Woman’s Missionary Work and sick visitor. John died at a Nursing home in Wadebridge the age of 80 years on Thursday, 30th December, 1943. The funeral service was held at the St. Thomas road Methodist church conducted by Revs. J. L. Gillians and G. W. Hicks. With continued expansion, the firm of J. B. Smith and Son went on to become one of the largest motor engineers and agents in the area, finally selling their Castle Garages on the Dockey and moving to new premises on Pennygillam Industrial Estate in the 1980’s. Unfortunately towards the end of that decade, the firm ran into financial difficulties and closed for business. A major competitor for many years were Spry’s garage, and after their showroom in Exeter Street was burnt down in early 1992, they purchased and moved onto the vacant Pennygillam site.